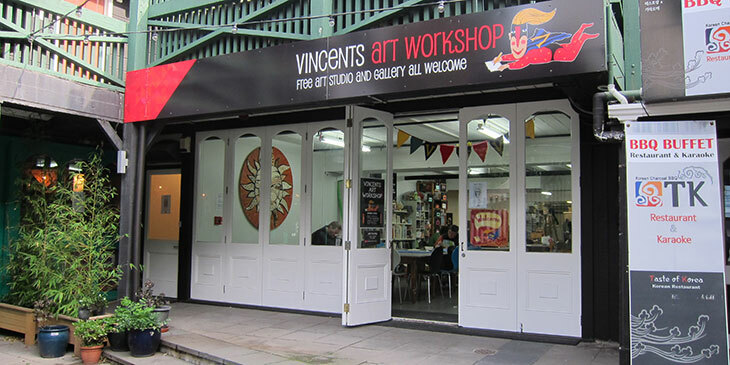 Vincents Art Workshop is a fantastic award-winning art studio in downtown Wellington. Vincents celebrates diversity and welcomes all people – whether you have done a lot of art, or none at all. And it’s free! Art materials, equipment, expertise and inspiration. A place to learn new skills and explore your creative side. A safe environment to work in. 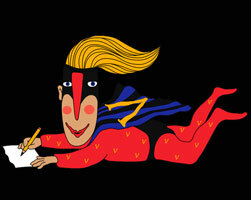 Friendly, helpful tutors who are skilled artists. Opportunities for artists to exhibit their work. A chance to work on community art projects. A day just for women (Thursdays). We are located at Willis St Village, 5 / 148 Willis St.
We can turn almost anything into works of art! Please contact us on 4991030 or by email vincentsartworkshop@xtra.co.nz if you are able to help. Watch a five minute film about Vincents, filmed by documentary maker Shona McNeil. Original generation time 0.1694 seconds. Original generation time 1.3703 seconds. Cache Loaded in: 0.0006 seconds.